The East Coast is the region that has received the fastest tourist development in the last 10 years. Like the south coast, the East coast faces the southeast trade winds, which prevails almost all year round. During winter, from June to august it can get cool as early as 5 p.m. But the view of the lagoons on one side and the mountains full of greenery on the other makes this region awesome. The bright-white beaches and crystal-clear lagoons run along this coast almost uninterruptedly. The prominent beaches of the island are found here with the impressive sands behind the elegant gates of five-star hotels. 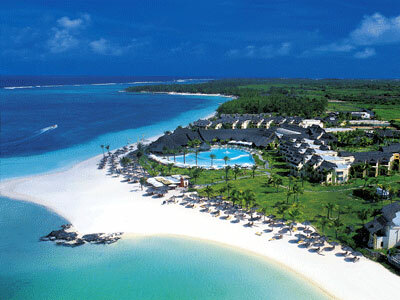 Belle Mare is a city located in Mauritius, a small island that is home to culturally diverse people. Approximate population for 7 km radius is 28797 Climate in Belle Mare is tropical and is best visited from November to May which are the summer months on the island. Belle Mare is one of the best beaches in Mauritius. This white sandy beach with a deep lagoon that is approximately 10 km / 6 miles in length, emerald waters along the beach address about the beauty of this beach, a family-friendly water park and lots of aquatic sports, Deep-sea fishing for tuna, marlin and mako shark is especially popular in this eastern Mauritius enclave. Belle Mare also serves as a convenient base camp for a trek to 1,575-foot Lion Mountain. East Mauritius is definitely the most exclusive side of the island and the congregation of luxury hotels around Belle Mare attracts the crowd. The Links is a Championship Golf Course designed by Rodney Wright and Peter Allis. Par 72 with 5942m, the 18th hole is the signature hole along turquoise waters. Belle Mare is the place where you can choose to relax and do nothing or you can keep yourself busy for the whole day by trying something adventurous, deep sea fishing is one of the area’s most popular activities. The sea surrounding Belle Mare’s island of Mauritius are full of all types of fish including yellow fin tuna, striped marlin, sailfish, and mako shark. The best time of year for catching large fish there is November through April. You can get private boats for fishing or there are many local companies available for fishing excursions. Apart from fishing Belle Mare also offers several other activities such as scuba diving, snorkeling, windsurfing and sailing as well as golf and tennis. Non-sport activities include dolphin watching trips, and day trips to sites on other parts of Mauritius.